In the time between the West–Little Honey-era and Blessed, a lot has changed in Lucinda Williams’s world. After a tumultuous period marked by her mother’s death and a turbulent end to a lengthy relationship, the alt-country songwriter has found herself in a much better and more serene place. Williams has married, rekindled a longtime love of collaboration and has entered another prime songwriting run. Most importantly, however, Lucinda Williams appears happy. Blessed is not an album filled with mourning, but hope and gratitude. While the veteran storyteller will probably never sway away from her honest, often painful narratives; this album’s theme is entirely eponymous. There’s determined resolve on the album opener “Buttercup”–a parting salvo that refuses to look back. Rather than mourn her own losses, Williams penned an ode to longtime manager Frank Callari on “Copenhagen,” and wrote “Seeing Black” after hearing about Vic Chesnutt’s suicide in late 2009. These are sad topics, however, they’re approached with a particular understanding and reflection gained by Williams as she looks back on a difficult period in her life. Despite some of these poignant moments, Blessed ultimately remains an optimistic record that juxtaposes her typically heartrending croon. “Blessed” is a newfound appreciation of living through all these years, acknowledging the people within it. “Sweet Love” and “Convince Me” are gorgeous, slow-burning love ballads that could go on forever and not lose their appeal. It may not be her most evocative or stunning performance, but it represents a powerful changing of the guard as she enters her fourth decade as a songwriter. Although Blessed marks the beginning of an increasingly optimistic era for Williams, that remains only half the appeal of her tenth studio record. 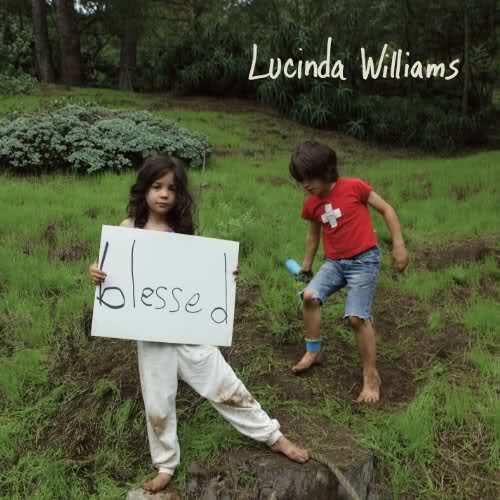 This time around, however, it’s the Lucinda Williams-Don Was partnership that makes Blessed work so well. The two connect from the get-go on this record. Williams’s voice is as strong as ever, while Was carefully molds the band to emphasize her strengths. As a result, this record warmly resonates with a spaciousness and depth that accentuates Blessed on a heightened level–one that approaches some of her best works.